Mumbai, April, 2016: EmraanHashmi, RWITC in association with The Royal Western India Turf Club, Display House and ChaitiNarula hosted the ‘The Indian Cancer Society Race of Hope’ at the Mahalaxmi Race Course. 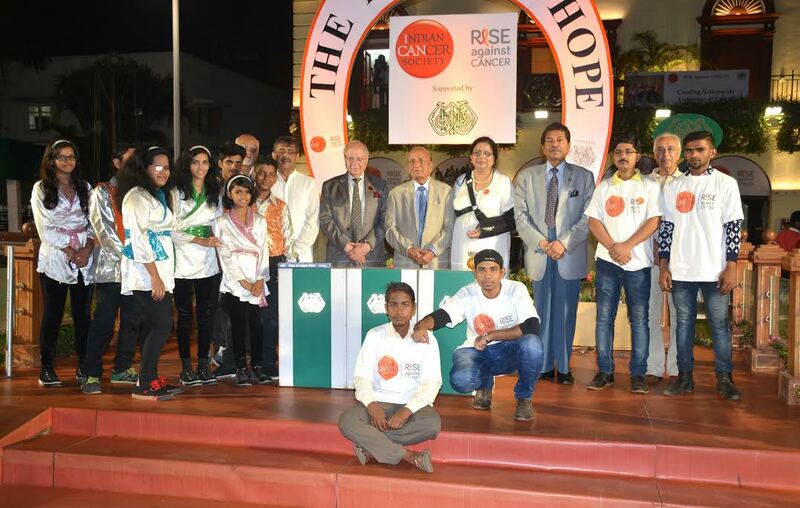 For several years, the RWITC has been extremely gracious in instituting a Race of Hope and providing the entire infrastructure of the Race Course to Indian Cancer Society. ICS uses the occasion to create awareness of cancer among the public, and raise much needed funds for its activities geared to helping poor cancer patients across India. “The RWITC has enjoyed a long partnership with ICS and the Club has made CSR central to our activities. We are delighted that ICS will bring a whole new experience to the day and we will always support the great work done by the Society. We look forward to a long association.” says Vivek Jain, Chairman RWITC. “1in 13 world cancer patients is an Indian. It is my firm belief that propagating a cause such as this will help the masses detect and battle this disease better. Supporting community oriented causes is always fantastic,” added team Display House and team Chaiti Narula. Horse racing shows the spirit to run and fight and its quite metaphorical to people battling cancer. The event also garnered the support of Bollywood actor Emraan Hashmi, who recently launched a book on his son’s battle for survival as a cancer patient. His book titled 'Kiss of Life' was exhibited and given away in order to give hope to cancer patients and to encourage them to keep fighting. A wide array of musicians- Boxed-up Soul, Raaga Trippin and Shiyana too came forward to perform for a cause. 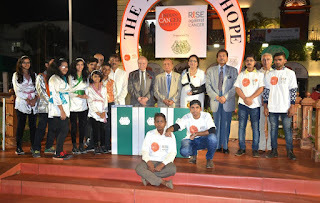 The Carnival of Hope was held against the backdrop of evening racing was enjoyed by the guests who could enjoy themselves at the races with the victims of cancer, the food stalls, fashion, lifestyle and other entertainment. Funds were raised through stall sales, donations by horse racing owners, trainers, quiet donations by patrons in horse racing. Indian Cancer Society was established in 1951 by Dr. D.J. Jussawalla and Mr. Naval Tata as India's first voluntary, non-profit, National Organization for Awareness, Detection, Cure and Survivorship of those affected with this disease. ICS seeks to spread awareness about cancer and to raise funds to help the poor. The main objective of having a carnival is to unit people to rise against cancer at the same time disseminate information about the works carried about by the Indian Cancer society in its mission to help the under privileged and to promote cancer care and awareness. The carnival in its first year is a small start to a proper full blown fund raiser in the years to come with the support of the RWITC. The fund raising process is going on and has received a good response thus far. The city of Mumbai is urged to come forward and participate in this race day which is open to all.